Stephanie Day received her Ph.D. in Developmental Psychology in 2012 from Florida State University in Tallahassee, Florida. Stephanie’s research focuses on the complex relations between children’s self-regulation, the classroom environment, and academic achievement. For her dissertation, she developed and tested a direct measure of children’s self-regulation skills designed to assess children’s attention, working memory, and behavioral inhibition skills in 2nd through 5th grade called the Remembering Rules and Regulation Picture Task (RRRP). Stephanie has been working with Dr. Carol Connor since 2005 when the Individualizing Student Instruction project was just beginning. 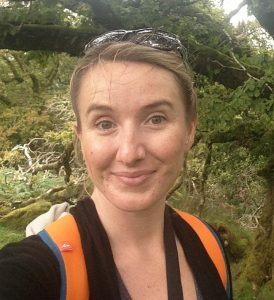 She has worked on a number of tasks in the lab including heading up database and assessment management and video coding of classroom observations. In her free time, Stephanie enjoys spending time with her family as well as cooking for her food blog, Eat. Drink. Love.! Day, S.L., Connor, C. M., & McClelland, M. M. (2015). Children’s behavioral regulation and literacy: the impact of first grade classroom environment. Journal of School Psychology, 53, 409-428. Day, S.L., & Connor, C.M. (in press). The relation between self-regulation and academic achievement in third grade students. Assessment for Effective Intervention. Connor, C.M., Day, S.L., Phillips, B., Kaschak, M., McLean, L., Sparapani, N., Barrus, A.,& Ingebrand, S.,. (2016). Reciprocal effects of self-regulation, semantic knowledge, and reading comprehension in early elementary school. Child Development, 00, 1-12. Connor, C. M., Radach, R., Vorstius, C., Day, S.L., McLean, L., & Morrison, F. J. (2015). Individual Differences in Fifth Graders’ Literacy and Academic Language Predict Comprehension Monitoring Development: An Eye-Movement Study. Scientific Studies of Reading, 19(2), 114-134. Connor, C. M., Spencer, M., Day, S.L., Giuliani, S., Ingebrand, S., & Morrison, F. J. (2014). Capturing the complexity: Content, type, and amount of instruction and quality of the classroom learning environment synergistically predict third graders’ vocabulary and reading comprehension outcomes. Journal of Educational Psychology, 106(3), 762-778. Jin Kyoung Hwang is a Postdoctoral Scholar collaborating with Chancellor’s Professor Carol Connor in the Individualizing Student Instruction Lab in the School of Education at University of California, Irvine. Jin Kyoung received her B.A. in English Language and Literature at Sookmyung Women’s University in Korea. After studying both general and applied linguistics during her undergraduate years, she was intrigued to see the real world uses of a seemingly academic and theoretical subject. This led her to pursue her academic career in Education with a focus on language learning and language and literacy development. She graduated from Harvard Graduate School of Education with an Ed.M. in Education specializing in Language and Literacy. She then received her Ph.D. in Education in December 2015 from University of California, Irvine with a specialization in Language, Literacy, and Technology. Her dissertation is titled Adolescent language minority students’ vocabulary growth: Exploring heterogeneity with multilevel analysis. Lawrence, J. F., Hagen, Å., Hwang, J. K., Lin, G., & Lervåg, A. O. (in press). Academic vocabulary and reading comprehension: Exploring the relationships across measures of vocabulary knowledge. Reading and Writing. Ashley Adams is currently a postdoctoral scholar in the Individualizing Student Instruction (ISI) laboratory, and is project manager for the Early Learning Research Network (ELRN) assessment team. She received her B.A. in Psychology with a minor in Spanish from University of California, San Diego. She then went on to study Speech and Hearing Science at Arizona State University and earned her M.S. in Speech-language pathology in 2015 and her Ph.D. in 2017. Ashley is a licensed bilingual speech-language pathologist who has worked primarily with Spanish-English bilingual populations and special education preschool. Her research focuses on developing and implementing literacy interventions for Spanish-English dual language learners at the individual, small group, and classroom level. Huizhen Wu received her B.A. in English Language and Literature at Anhui Normal University in China in 2003. She worked as a language teacher after graduation until 2006 in Anhui Polytechnic University. Sparked by her interest in English language and education, she earned her M.A. in Applied Linguistics in Shanghai University of International Business and Economics in 2009. Since graduation, she has been working at Shanghai Business School. Huizhen has a strong passion for teaching. She was awarded “Excellent in Teaching” in China in 2015 and 2016. Her research interests focus on pedagogical practice, reading, language assessment, and studies of programs to optimize students’ learning experiences and maximize course performance for children from low-income households, particularly the left-behind children in rural China. Currently, she is working under the supervision of Chancellor’s Professor Carol Connor in the Individualizing Student Instruction (iSi) Lab in the School of Education at the University of California, Irvine. She believes the ISI Lab members’ expertise, together with the academic resources at UCI, will enrich her academic development with new perspectives in methodology and research. Tamara Garcia is research assistant in the Individualizing Student Instruction (iSi) lab, where she collaborates on the development of various projects such the Optimizing Learning Opportunities for Students (OLOS) and Word Knowledge E-Book projects. She is currently a fifth-year undergraduate at the University of California, Irvine majoring in Education Sciences and Psychology & Social Behavior. Tamara has an interest in a student’s self-efficacy in tasks and student achievement with individualized instruction. Collectively with her colleagues in the iSi Lab, she hopes to enrich her experience with diverse research methodologies and approaches. She plans to continue her education in a graduate program that focuses on the student learning experience and curriculum design. Jamie Greenberg is a research assistant in the Individualizing Student Instruction (ISI) lab. In the lab, Jamie is working on the Optimizing Learning Opportunities for Students (OLOS) project. 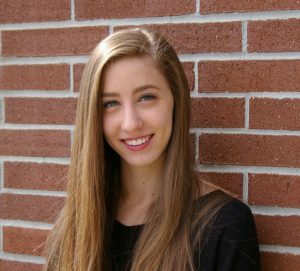 She is currently a third-year undergraduate Regents’ Scholar at the University of California, Irvine where she is majoring in Education Sciences and minoring in Psychology and Social Behavior. Jamie is also studying American Sign Language at Irvine Valley College. 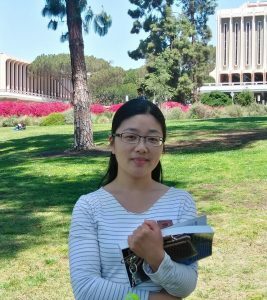 She will be graduating from UCI in winter of 2019 and plans to continue her education in a graduate school program where she can focus her study on Deaf Education.